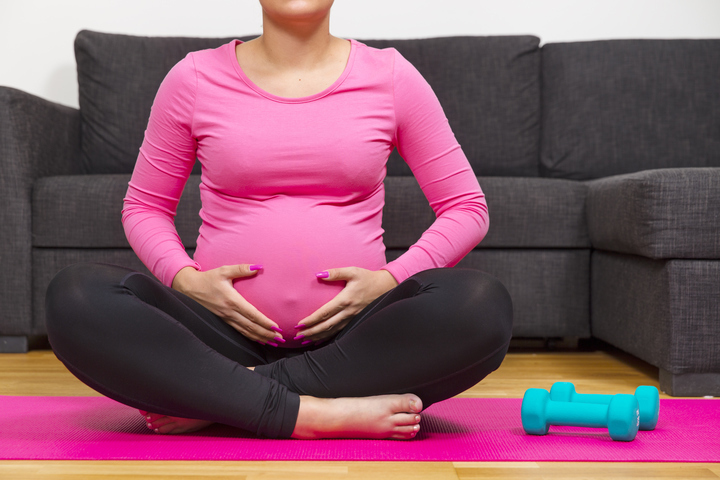 Staying in shape throughout your pregnancy may feel like a lofty goal but is essential for strengthening your heart, boosting oxygen levels, and improving circulation. There are some crucial guidelines to follow to ensure you don't overexert yourself. Be extra careful during the second and third trimester to not stand on feet for long periods of time. Top 5 nutrients to include in your diet: calcium, folate, iron, protein, and vitamin c.
To get you started, here are several types of pregnancy exercises. Choose the one you feel works best for you! Swimming is the perfect workout for pregnant woman as it is low impact and lifts the strain off your muscles. Swim laps and then use a kick board or noodle to vary your exercises. Make sure the weights you are using are not too heavy. 3-8 pounds is generally fine. Curl and Lift Chair Exercise "Sit on the edge of a sturdy chair with your back straight, feet on the floor, arms at your sides. Hold a 5 to 8-pound weight in each hand, palms facing your body. Bend your elbows so your arms form a 90-degree angle.Keeping your elbows bent, lift the weights to shoulder height. Lower your arms to your sides, then straighten to return to starting position. Repeat for reps."
Back pain is a major problem during pregnancy. There are several yoga poses that are designed to help this problem. Cat/Cow Begin on your hands and knees. 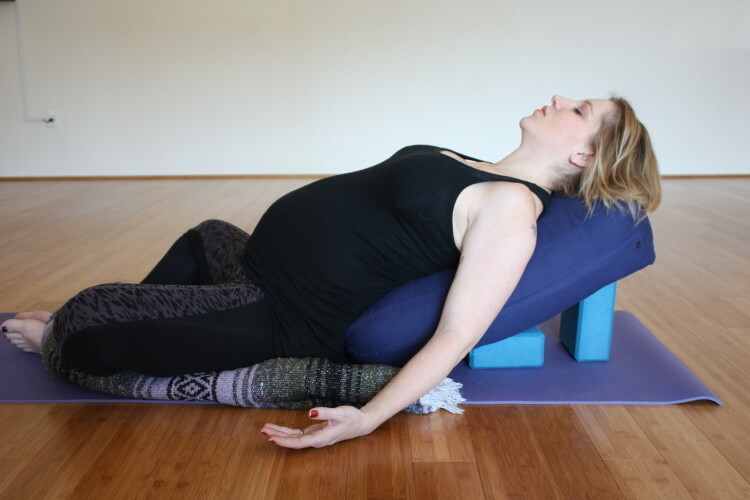 Inhale, turn the tailbone towards the sky, let your middle (ribs and baby) drop towards the earth, and feel your heart’s center face forward (head may also tilt back). Child’s Pose From hands and knees, widen your knee. Sink your hips back to your heels. Relax your chest and forehead down to the earth (put a thin pillow or blanket/towel under your head for support if you like). Stretch your arms out in front of you, palms down. Standing Crutches Start in a standing position with your feet hip-width apart. Draw your bellybutton into your spine, tuck your pelvis slightly and bring your fingertips to your ears. Crunch forward and squeeze your abdominal muscles (just like you would do if you were lying on your back.) Release with control to complete one rep.
Side Laying Knee Lifts Lie on your right side with your right arm extend overhead and your head resting on the upper arm. Place your left palm on the ground in front of your chest for support.Stack your knees and bend both about 90 degrees, then bring them slightly forward. Engage your core to lift one or both knees up off the ground. Release with control. epeat on the opposite side. Get more workouts by following our New Mom Fitness board on Pinterest!